Ballet dancer Ashley Werhun created Mentorly to connect mentors and mentees in the arts field, after she found herself inundated with messages asking for advice. 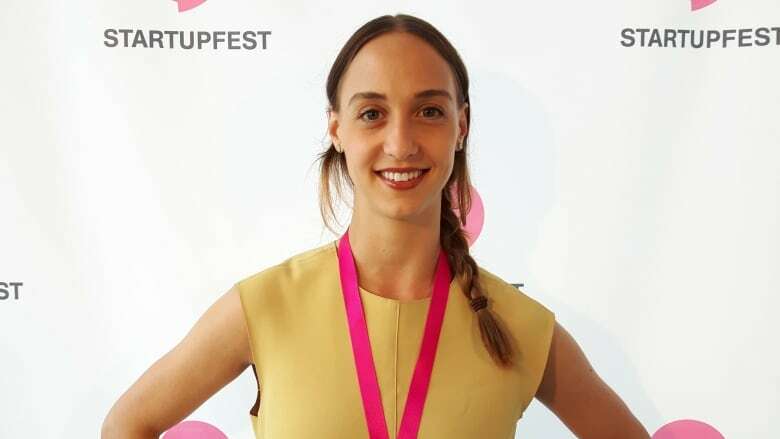 Her pitch won the CBC Montreal pitch competition at Startupfest on Friday. Ashley Werhun is a dancer with Ballets Jazz de Montréal who found herself overwhelmed by correspondence from young dancers wanting advice — so she began searching for a way to address the larger issue of a lack of mentorship in the arts. Werhun wasn't able to answer all of the messages she got from young artists, and even if she could, she wasn't sure she would be giving the right advice. "They would ask me, 'Is your company hiring?' And I would have no context for who they are. I would have to have a real conversation with them, because it's not always is the best advice to say, 'Yeah, just come audition,'" she said in a interview with CBC Montreal's Homerun. Werhun talked about her problem to filmmaker Katherine Macnaughton who was on the flipside of the problem — she was trying to move away from commercial work to more artistic work and couldn't find a mentor to help her. "I just thought to myself, why isn't there something better?" said Werhun. The two decided to build an online platform together called Mentorly, which would pair mentors and mentees in the arts. "We all know how hard it is to find a mentor, it can be the turning point in our career, but oftentimes it's left to chance, you meet them at a party or you run into them and they change your life," she said. "There are tech tools to order your food and to have your laundry done, yet there's nothing built to help us move forward in our careers," she said. Mentorly, which soft-launched in June, is focused on arts mentorships, as well as the business side of arts. Mentees book and pay for a session with mentors in fields ranging from visual arts to filmmaking to writing. The mentoring session takes place by video conference, and mentees can continue with one mentor or try another after the first session is over. Werhun said they decided to charge a mentoring fee, because many artists can be excelling, but still not necessarily working consistently. Fees for a one-hour session range from $45 to $150. "It also is a way for artists to make money when they have gaps in between their contracts, " she said. And, "when you put money to something people show up and they do a great job of it." 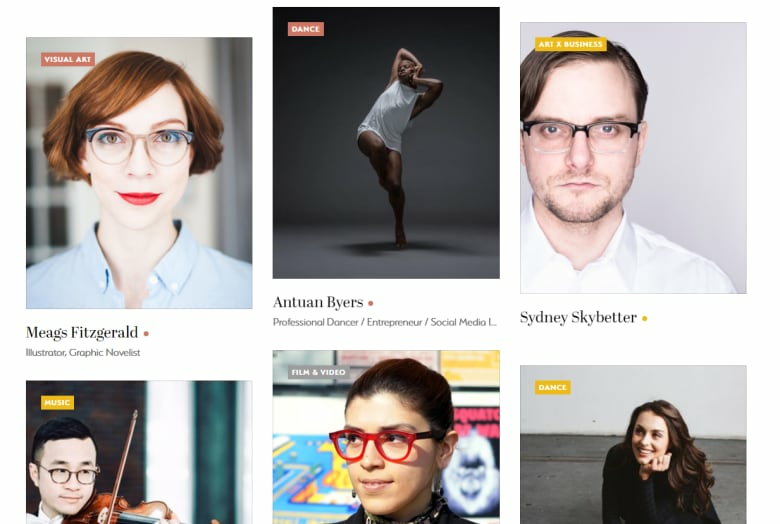 High-profile mentors who have signed up so far include Ariana DeBose, a singer and dancer who was part of the original cast of the musical Hamilton on Broadway, Andrew Wan, the concertmaster of the Montreal Symphony Orchestra and Meags Fitzgerald, an illustrator and graphic novelist. Werhun's pitch on how Mentorly worked impressed the judges at CBC Montreal's tent at Startfupfest, a three-day festival featuring all things entrepreneurial and tech-related. For the last three years, CBC Montreal has run a pitch competition during Startupfest, looking for an original young company to feature on CBC's platforms. Competitors have just one minute to make their pitch. Werhun found out she was the winner on Friday afternoon. Canadian tech companies say they value diversity — but what are they doing about it?